Patients’ health and well-being fall in the hands of nurses. As the state of Illinois revisits the role of nurses in primary care in response to the rising cost of healthcare, state health reform, and changing demographics, nurses will play an even bigger role in providing high quality, cost-effective care. Advanced practice nurses are being called upon to fulfill new roles in the redesigned health system despite the requirement for a collaborative agreement between APNs and physicians. Unfortunately, the shortage of primary care providers and an even greater shortage of nurse faculty does not help to relieve the burdens on an over-taxed healthcare system. With just about 8,500 registered APNs in the state, functioning in the four key roles, there are insufficient professionals to meet the needs of a demanding population. The Doctor of Nursing Practice (DNP) is a practice-focused degree that gives nurses the additional knowledge and skills to promote the health and well-being of patients and communities they serve. According to the American Association of Colleges of Nursing (AACN), the complexities of the nation’s healthcare environment demands that APNs have the highest level of scientific knowledge and practice expertise to boost positive patient outcomes. The curriculum builds on the content of the master’s program, providing exposure to evidence-based practice, systems thinking, and quality improvement. Graduates are expert nurse leaders in providing solutions within the health care system. The degree provides an alternative to the research-focused PhD and is the terminal degree for nurses. A DNP-prepared practitioner reviews, interprets, and implements evidence-based practice to improve the lives of patients, families, and communities. The steady increase in the number of APNs in Illinois is good news for approximately 100 Illinois counties where there’s a shortage of primary care physicians – particularly in rural areas. APNs can help meet the needs of the population and fill a gap in the healthcare system by functioning in community health centers, nurse-managed health centers, freestanding birth centers, and retail clinics. DNP-prepared nurses are vital to the delivery of healthcare in rural and medically underserved areas. Due to consistent efforts to boost the quantity and quality of advanced practice nurses, there has been a threefold increase in the number of APNs in Illinois over the last decade. Although, there are now more advanced practice nurses in the state, the majority are prepared at the master’s level though an increasing number are pursuing the terminal DNP degree to develop clinical competencies that positively impact patients’ lives. Also, more BSN-prepared nurses are skipping the master’s altogether and diving into doctoral study through post-baccalaureate entry. The modern-day DNP degree dates back to more than two decades. But by 2003, the milestone reports published by the Institute of Medicine and the American Academy of Colleges of Nursing resulted in the proliferation of the program at nursing schools across the nation. The aim of both reports was the link the increase in nursing knowledge and skills to the delivery of safe, patient-centered, and effective clinical care at medical institutions. DNP graduates admit that the additional training places them in a unique position to improve patient outcomes by translating research into the clinical setting. The exceptional nurse leaders have changed the face of nursing through the delivery of revolutionary health care throughout the nation. In short, the program raises nursing practice to an unprecedented level by giving nurses the tools for accountable, independent practice – within the confines of state rules. The DNP provides a fantastic opportunity for nurses to expand their expertise to the doctoral level while remaining clinicians at the core. Unlike the PhD, which focuses on research, the DNP is a practice degree for nurses who want to continue practicing and bring better care to patients – albeit at a higher level. Additional, DNPs have the capacity to transform nursing education by awakening students to their ethical responsibilities in this critical time for health care. The urgent need for nurses cannot be addressed without DNPs to educate the future generations. The DNP gives nurses the credentials to work independently. More than just credentials, graduates have the confidence to implement practices that will improve the lives of patients, families and populations. They bring affordable, accessible, and high-quality care to rural and underserved areas. In the hospital administration, nurses struggle to make themselves heard. The DNP gives them a voice and influence at committee meetings to provide feedback from a nursing perspective. The degree places them on par with the physician counterparts. In the end, your personal direction will determine whether or not you pursue the degree. To master your area of practice and become involved in policy making and influence decisions, the DNP will be a valuable asset. DNP students receive preparation to practice at the highest level of professional nursing. Nurses practicing at this advanced level have positive health care outcomes for patients, families, and populations in their direct care roles, such as nurse midwives and nurse practitioners, and systems-focused roles, including administration and public health. A prospective student will need to consider an area of concentration, which will determine the school of choice. Flexible online and hybrid programs accommodate the needs of working nurses. In addition to the coursework, students will complete a capstone project for review by a team of faculty. In Illinois, candidates for enrollment can matriculate at two entry points: the post-baccalaureate or the post masters. The duration, curriculum, and cost will depend on the student’s point of entry. At the conclusion of the DNP requirements, graduates will be able to demonstrate the specialty skills necessary for doctoral practice, translate evidence-based research to improve the health care system, implement the research of positively impact outcomes and reduce disparities, demonstrate leadership and management skills, and integrate technology into nursing practice. Enrollment in the DNP program is very competitive, so you should strive to meet all the school’s requirements for a doctoral degree as well as the requirements for DNP study. Post master’s entry requires a transcript of your master’s education at an accredited institution. The university may also require that you complete graduate level statistics if you did not do so in the master’s program. 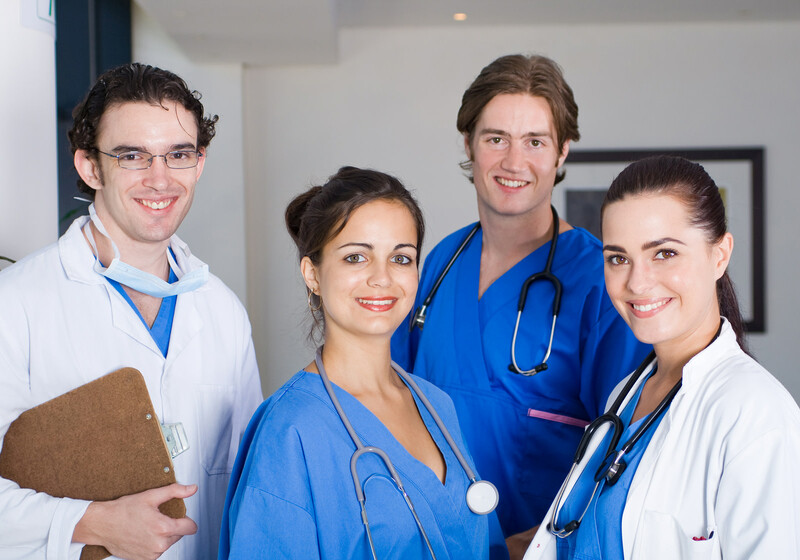 Prior to commencing the clinical courses, you will need to submit evidence of a registered nursing license in Illinois or another appropriate jurisdiction. Clinical placement may also entail completing the health requirements, such as immunizations, fingerprinting, CPR for Health Care Providers, and health insurance. An MSN degree from an institution accredited by CCNE or ACEN with a specialty focus. At least two years professional RN practice. Official transcripts of all college education. Prerequisite courses: statistics, healthcare informatics, and population health. The average cost of tuition for DNP students in Illinois is $23,400. Other costs will include textbooks, fees, and clinical supplies. Financial aid, grants and other forms of assistance are often available for more than 75 percent of enrolled students.